The first meal of the day is regarded as breakfast. Different cultures have verities of rituals, food components, temporality, and myriad paraphernalia associated with this one particular meal. It is often and rightly considered to be the most important meal of the day. Breakfasts in Germany are quite literally legendary. Germans believe in having a hearty breakfast and begin then their day. Breakfasts involve a lot of work especially during the weekends as the sheer number of items and their varieties is fantastical. The spread includes different kinds of cheese, meats, toppings, eggs, fruits and vegetables along with breads. In terms of classifications, usually the breakfast meal in Germany can be categorised so as to fall in between deli platter and continental breakfast. Typically, the breakfast consists of a hot beverage along with breads and a verity of spreads, and to top everything – the toppings. In addition to these breakfasts also include boiled eggs, fresh juices, cereals such as muesli mixed either with yogurt or milk, and fresh fruits. 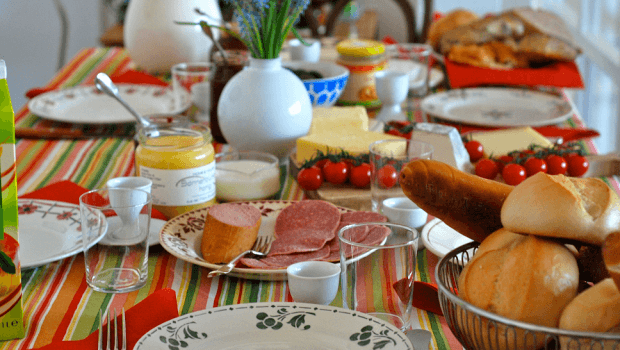 Moreover, the tendencies of eating sumptuous and hearty breakfasts are slowly being forgone because of the lesser availability of time and health related concerns. The newer generations have started to adopt much simpler breakfasts comprising of largely cereals. Though, the traditional form of breakfast comprising of bread, cheese and sausages still lives on. The weekends particularly are important because it is then when the families visit the market and procure freshly baked breads. Also, there are bakeries on almost every street corner, therefore, nothing is hard to find. School children in Germany usually do not prefer eating at schools and they generally would get back home and eat. Therefore, meals like Pausenbrot are used so that children are well fed, energetic and their abilities to concentrate in classes are maintained throughout the mornings. Pausenbrot can be in the form of sandwiches or consist of whole grain bread along with cheese or it may also include lunch meat along with fruits, yogurt or a muesli bar among other things. 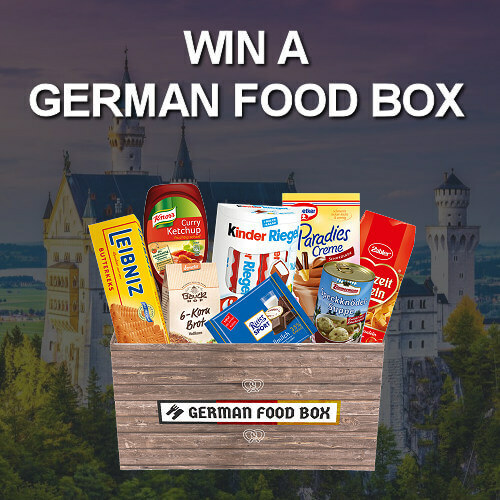 The food habits of Germany in general have a lot to do with its geographical location. It is located in Western Europe and has a varied topology which comprises of: deep forests, high mountains, and wide valleys. Thus, food habits do not change much across but do demand certain richness in their content. As far as the impact of food goes on German culture, it is quite starkly visible. You can find references to food in many of its fairy tales. Moreover, the division of Germany during the post-World War period resulted in these two halves developing slightly varied styles of cooking. Russian influence is quite visible on the cooking style of East Germany while on the other hand West Germany carried forward the traditional forms of German cooking. While doing this comparison, it is thus important to note that differences also lie in the cooking styles of the northern and southern regions. Here, the American influence and also that of popular culture can be seen more. Germans are also quite particular about the table manners. Most of the times they insist on using fork and knives while sitting down on the table, and the use of fingers remain limited. Also, keeping your elbows on the table is considered to be bad manners. Ideally booth hands should be on the table. The breakfast meal can be heavy due to the German meat fascination. In breakfast they mostly include cold meats which comprises of their world famous sausages and varieties of cheese. These are served alongside of different kinds of breads which might or might not have a jam, marmalade or honey topping. A hot drink: Drinks can consist of coffee, tea, milk, or cocoa. Baked goods: Germany, moreover, most of Europe in-fact is famous for its breads. In Germany alone you can find as many as 200 varieties of breads and each one being distinct and unique. Furthermore, breads are very important components of any German breakfast. Among them, Brötchen (small bread) or crusty rolls are the ones that are most popularly consumed. For the purpose of creating distinct flavours in the breads, Germans or Krauts add seeds such as: sesame, caraway, or poppy just before the batter of the bread enters an oven. Through this process the flavours and aroma is made to stick and be intact in every bite. In-fact there is a popular saying as per which it is not the topping which creates the mouth-watering flavours but the way the toppings highlight the bread which creates the unique taste. The sausage: Germans love their sausages. They have an astounding 1500 verities of sausages available and on an average each individual consume a whopping 67 pounds of sausages each year. It is actually funny but according to one of their sayings Es ist mir Wurst, what they are actually saying is: it is sausage with me, instead of just saying: I am fine. That is how crazy the sausages have made the Germans. Therefore, the German food association is quite strict about what goes inside the sausage production process. When you approach a German breakfast table it will be rather amazing to see the sheer number of sausages on the table. They may look similar to the regular sausages available in the markets. But, the German sausages tend to be lighter in colour. The meat is processed similar to that of the hotdog but the grinding process is here results in a finer texture. Pancakes: Typical pancakes are not quite popular in Germany. Moreover, traditionally, the German form of pancake actually falls somewhere between the French crepe and the pancake from America in terms of size and structure. Furthermore, confectioners’ sugar or lemon juice along with fruits used in the form of toppings or fillings is the accompaniments of the German pancake instead of the maple syrup. Muesli: It is a form of cereal particular to Germany and they love it dearly. Muesli is made by using grains, seeds, dried fruits and other wholesome ingredients. It has similarities with an unbaked granola and is often soaked for a particular period of time so that they become soft and edible.